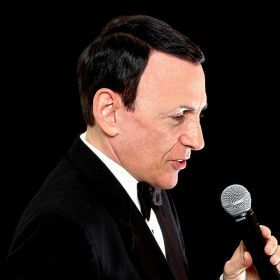 A successful TV comedy writer for stars including Johnny Carson, Dean Martin and Frank Sinatra, Monty Aidem performs a Frank Sinatra Tribute show. Now he is celebrating the music of Sinatra with his Frank Sinatra Tribute CD called Some Special Favorites. It features 15 thoughtfully selected songs recorded and performed over the years by F.S. It begins with a Sinatra favorite Nice 'n' Easy, and concludes with The Best Is Yet To Come, which was the last song Mr. Sinatra performed in public, and the words that appear at his final resting place. Visit Monty Aidem's Frank Sinatra Tribute on the Web at www.franktribute.com.